$14,500 and pay the closing cost gets you restaurant in Tahoe ! Beautiful turnkey restaurant for sale, in South Lake Tahoe, CA. Asset sale Price @ $14,500 plus closing costs.....! Nice neighborhood with customers in walking distance of restaurant. There is also Cal-Trans and CHP offices nearby to tap into employee base and of course all the traffic from Hwy 50! Freestanding building with Nice outdoor Patio and Landscaping. Lots of indoor and outdoor seating with amazing mountain view. Right on highway 50, in Meyers, just 5 minutes from the Y. Lots of local and incoming traffic. Interior and Kitchen are Super Clean and this is a turnkey restaurant…Many extras: waterfall outside, new paint, Ford F250 with plow, charcoal BBQ grill, lots of parking, 2 large TV's and plenty of storage. The is a second story restaurant spce for storage or addl seating....restaurant recently closed, but ready to go! Ample parking and Superb High Visibility! Seats 29 indoor with lots of Outdoor Patio seating too! Menu: Ready for your fresh new concept. 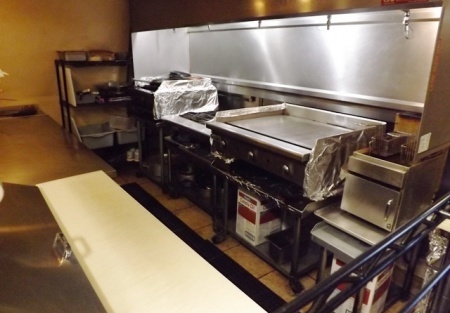 Kitchen: Hood system, Wells gas grill, American range, charcoal grill, fryer, TVs, POS system, Ford plow truck…it's all there…. 1,485 sqf. Plus large outdoor patio with fountain and new stone work! Reason for selling: The Sellers are moving out of state. Make an offer quick this will be gone fast!